It's been a little more than three years since journalist Jason Rezaian's release from an Iranian prison. He's written a new book about his experience. "Opportunity hoarding" — that's what psychologists are calling a phenomenon being increasingly reported by college admissions counselors. "Professor Chandra Finds His Bliss" is the story about a conservative economist finding his meaning in life. Jameson Lopp has — for the most part — managed to become invisible. How'd he do it? The president of the U.S. Global Leadership Coalition, a nonprofit that supports diplomacy in the U.S., discusses whether aid to Central American countries is working. "We do have a real expectation that we're going to be finding some really interesting relics and artifacts down there." Zillow co-founder Rich Barton has returned to the role of CEO to oversee company's transition into buying and selling real estate. 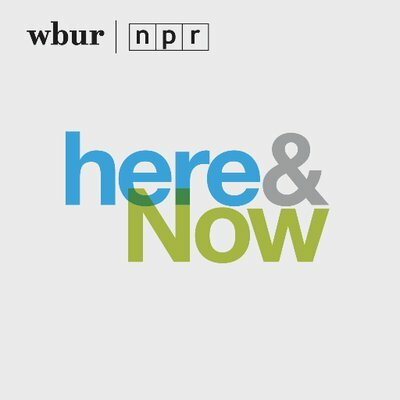 Washington Post's Robert Costa discusses the political implications of Attorney General William Barr's Russia investigation summary. Jeremy Richman, a father of Sandy Hook Elementary school shooting victim, has died of an apparent suicide, according to police. A lack of counselors at a school in Thornton, Colorado inspired the administration to collaborate with students on a peer counseling program to address kids' mental health needs. Students and activists have started digging into more yearbooks to see what else they might find from lawmakers' pasts. The Republican president was an environmentalist and progressive social reformer, but he was also an advocate for white nationalism and eugenics. Here & Now's Jeremy Hobson took a trip to Fermilab for a tour of work on a tiny particle that could help answer some of the biggest questions in physics. Pius Adesanmi is best known for his immense contributions to the literary world and his dedication to young African writers. Felicity Huffman and Lori Loughlin are among dozens of parents who paid large sums of money to cheat admissions standards at prestigious schools, federal prosecutors say.